In fact, Facebook execs believe that utilizing “events” and “groups” in the dating process will be a key factor in competing with other dating apps. As CNET pointed out, if you’ve RSVP’d yes to a music festival, you can connect with someone else going, too. There is also a missed connections feature, where you can connect with someone who attended the same event you did last week, for example. This is what Facebook Dating looks like. 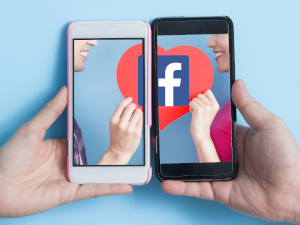 In fact, there aren’t “matches” per se with Facebook Dating; instead, you are able to see who has expressed interest in you regardless of whether you’ve shown interest in them. 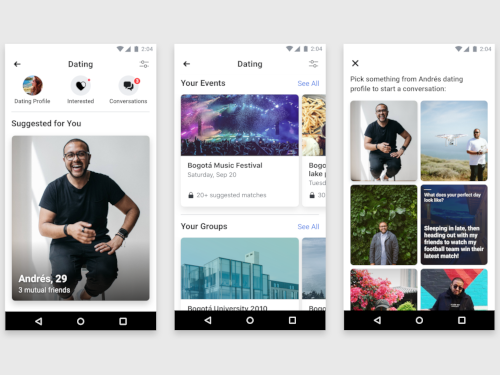 You can answer questions or “like” their photos (similar to dating app Hinge), rather than swiping left or right. Facebook puts a cap on how many people you can show interest in per day (currently at 100), encouraging users to engage with each other rather than checking out their other options. Messaging works differently, too. First, it’s kept separate from your Facebook messages, so no need to worry about mingling. Also according to website Mashable, you can only message potential dates over Facebook Dating when you have acknowledged something in their profile, for example answering a question or liking one of their pictures. And if you message someone first? You aren’t connected until that person messages you back. Facebook hasn’t yet announced when it will be rolling out the service to more markets. For more information on this service you can read our Facebook Dating review. Just tell us when it launches in the US...sick of all the slime bag ones now in existence.